40 GB Playstation3 was launched by Sony Computer Entertainment India (SCEI) this weekend at PlayStation Expo at Taj Land’s End in Mumbai. SCE Country Manager Mr. Atindriya Bose said that gaming is finding its place as an entertainment among increasing number of Indian consumers. Sony also announced a few new games for PlayStation. Hitachi has announced Ultra Thin range of LCD televisions for Indian market. The Hitachi Ultra Thin Series will be available in 32, 37 and 42 inch models in first quarter of next year. Hitachi claims that its Ultra Thin series is the slimmest LCD with a thickness of only 35 mm. Hitachi also plans to introduce a 19 mm thickness LCD by year 2009. China Unicom Ltd, the second biggest telecom company in China has said that the company has no immediate plans to sell Apple iPhone in China. Mr. Li Zhengmao, Executive Director, China Unicom said that the company may consider if the opportunity is good. The market for iPhone is growing world over. Mr. Li pointed out that Apple iPhone will have to support Chinese language to enter the Chinese market. Apple iPhone plays music, offers internet browsing and many other features. China could be a great market for Apple iPhone. One Laptop per Child (OLPC) project has received first major support from some other corporate house after Electronic Arts announced that the company will donate its 1989 classic SimCity for the project. 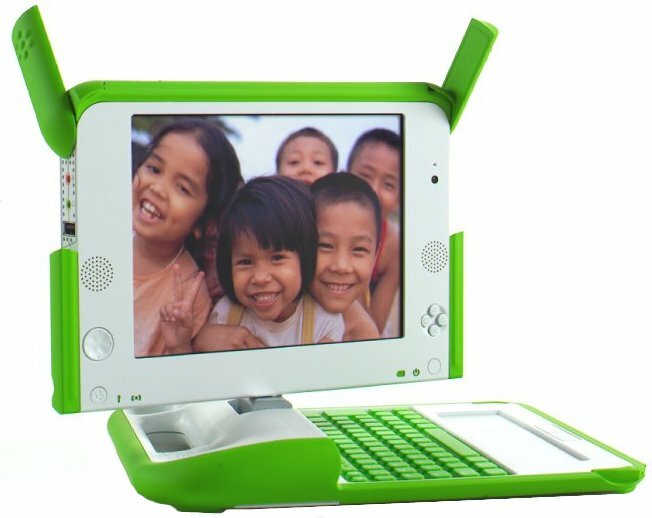 OLPC project aims to offer cheap laptops to children in developing countries. The project started offering robust laptops to children with a price tag of just $100. Game developer, Electronic Arts (EA) has offered SimCity to OLPC project and the game will be pre-installed on OLPC laptops. SimCity can be played online free of cost on website of Electronic Arts. Apple Inc. launched its famous gadget iPhone for German customers this Friday. Hundreds of iPhone fans gathered outside T-Mobile stores at many places in Germany. A famous store in Cologne, Germany was full with Apple fans. Deutsche Telekom AG owned T-Mobile managed to sell more than 10 thousand iPhones within first few hours of launch. Apple fans have been waiting since a very long time for European launch of iPhone. Nokia, the Finnish Mobile handset maker introduced two new models of N-series for Indian market on Tuesday. Nokia N-series is feature-rich and offers better option for entertainment. The two new models launched by Nokia are N81 and N95. N95 is a great solution for entertainment as it has 8GB hard drive and 2.8 inches wide display. Both models are having better battery life. The model is priced at Rs 35,059 (US $892). N95 also offers Global Positioning System. MapmyIndia recently launched their application for GPS. Internet based Payment system PayPal has announced withdrawal facility for Indian users. PayPal is widely used by many freelancers and small companies to get money from their clients. The direct bank account withdrawal facility comes free of cost if one wants to withdraw more than Rs 7000. While for withdrawal of less than Rs 7000 a fee of Rs 50 will be charged. PayPal charges a transaction fee of 2.7 – 3.3% for receiving money for business users while the service is free for personal users. PayPal is currently supporting the following Indian Banks. Geodesic Information Systems has announced that mobile instant messaging software Mundu IM now supports Sony Ericsson mobile phones, Apple iPod Touch, Windows Mobile based Pocket PC devices. Xenitis Infotech Pvt Ltd has launched lowest-ever priced laptop Xuva T14WN costing only Rs 19,900. Xenitis group announced that the Xuva T14WN will be available at dealer outlets across India. Xuva T14WN is powered by Intel Celeron processor and is aimed at students and entry level professionals who are looking for mobility solutions. California: Internet Corporation for Assigned Names and Numbers (ICANN) has released a report on 26 October which highlights the actions taken by the agency in resolution of disputes about domain owners and organizations. ICANN has proved to be an easy place for domain dispute resolution compared to court litigations. ICANN provided assistance in375 complaints filed by individuals and organizations. ICANN has also launched a new Ombuds blog. 125 complaints were from United States followed by 27 from United Kingdom. Microsoft India has launched its Unified Communications for easy and cheaper communication for corporate world. Microsoft informed that Unified communications will cut the VoIP system by half. Unified Communications software will help employees to remain connected and share information with peers using e-mail, instant message or video conferencing. Microsoft Office Communications Server 2007 helps communication using popular applications. It will enable users to communication via instant messaging and video conferencing as well. Allied Computers International Ltd (ACi) has announced a low cost laptop priced at Rs 15,000 only for Indian market. Last year, ACi launched laptop for just Rs 19,999. The company may start selling the laptops by June next year. Budget laptops will see a decent growth in sales as more Indian consumers are planning an upgrade from desktop to a laptop. The low cost laptop from ACi will have Aluminium body which will lower the cost. ACi plans to increase its production from 10k units currently to 100k per year. With recent launch of Halo 3, Microsoft’ Xbox sales were higher than Nintendo Wii. Nintendo Wii was selling more than any other gaming console. Microsoft’s price drop for Xbox failed to impress gamers, but Halo 3 did its job and has put Microsoft Xbox on number 1 spot in gaming console sales. Market Research Company NPD Group has announced the sales numbers for the month of September and Microsoft Xbox has shown decent sales numbers. Google’s video sharing website YouTube has announced video blocking using digital watermarking technology. The move is aimed at stopping the copyright infringement of movies and TV programmes posted on YouTube by users. YouTube is powered by user-generated video content and it is not easy to check the each video for copyright issues. YouTube was blamed by media companies for breaching their copyrights by allowing such clips on its website. YouTube video identification tool is in beta testing. Google bought YouTube for $1.65 billion last year. The website is among top five most visited websites in the world. The new technology based on watermarking technology has been under development for several months. Google Search has been the most popular search service on Internet as per the latest search statistics reports from Internet Research firm Comscore Inc. Out of total 61 billion searches in the month of August Google Search was used for 35 billion. 95 percent of online users take help of search engines to find information on internet. Comscore data is based on the online search queries logged all over the world. Antivirus maker Symantec has launched Norton Antivirus 2008 and Norton Internet Security 2008. Norton Internet Security comes with Norton Identity Safe which offers protection for online trading or browsing safe. Both programs will be available in English and Hindi versions for the Indian market. Search Engine Major Google has launched search services for mobile users in India. Mobile phone users will be able to search Google by just sending SMS. The tool has been released as beta service. The service will be helping all mobile users as one may not even need an internet enable mobile to search Google now. of methyl spirit. The CEATEC 2007 exhibition which is taking place these days in Tokyo will be rich in surprises. Japanese company Toshiba has already surprised the public with its new developments. While we have already reported a few of them, today we will talk about a multimedia player working on fuel. The most innovative model of this manufacturer, probably, will become the prototype of a multimedia player Gigabeat which is fed not with traditional batteries, but with fuel elements made on the basis of methyl spirit (methanol). Energy Sistem has unveiled two stylish models of Portable Media Players in price range of $170 – 220. More and more Music and Video gadgets are coming every day. After success of Apple iPod, Microsoft Zune, many new companies are trying to enter the media players market. The gadgets support almost all the basic audio and video formats and differ from each other only in the built-in memory capacity.